It is time to start planning your Boston Holiday Boat Party. ‘Tis the Season for Holiday Parties so step aboard to enjoy a Boston Harbor Holiday Cruise with us. Join us on the Luxury Yacht Northern Lights for your office holiday party, family gathering, or night out with friends; our classic yacht is sure to dazzle even your pickiest of guests. The Yacht Northern Lights is best during the Holiday Season to accommodate 20 – 130 guests. So throw a classic Boston Holiday boat party for your favorite people. You can’t help but get into the holiday spirit as you come aboard Northern Lights. 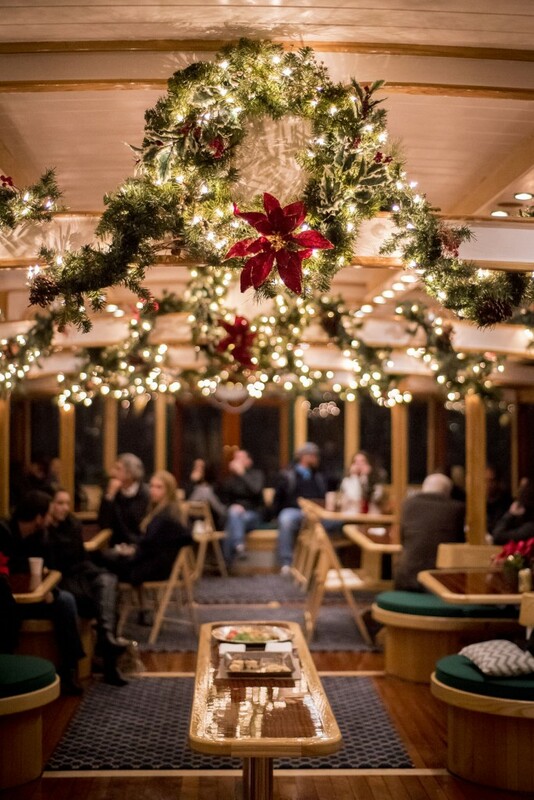 Our yacht is dressed in full holiday decor, with a warm glow from the holiday lights, garland laced around its interior, holiday wreaths, twinkling tinsel, and classic ornaments. Spend a special evening with a group of your special friends, co-workers, or family and let our professional crew cater to you while you sit back and take in the sights. 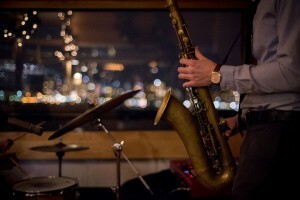 Small Holiday Office Party Options | Starting at $300/Table on public events. Classic Harbor Line offers festive holiday cruises almost every night during the holiday season. You can book a table (for up to 2-8 guests per table) on a Sunset Cruise, Harbor Island Cruise, or Caroling Cruise, starting at $300/table. You can customize your party with special catering or bar packages with an event sales agent: fill out our form or call us at 617-951-0020.